For a limited time, buy 1 TRANS4ORM, 120 Capsules & get 1 50% OFF! 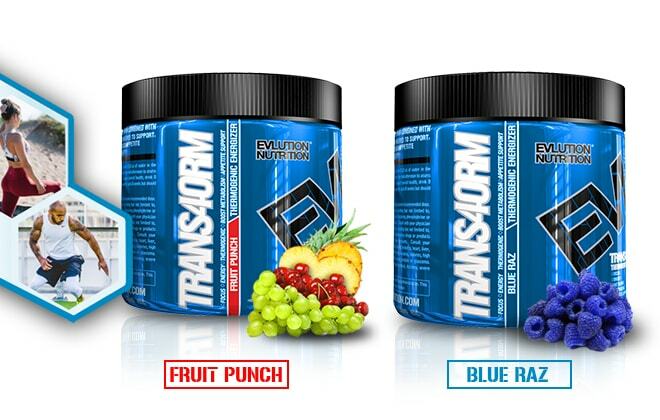 For a limited time, buy 1 TRANS4ORM, 30 Servings & get 1 50% OFF! For a limited time, buy 1 TRANS4ORM, 60 Capsules & get 1 50% OFF! helps me to feel full and not have as many cravings. Does not leave me feeling sick or jittery but it does the job it is supposed to do. Great thermogenic! never thought it would be this great I have energy to keep motivated in the day and when i work out i can feel the burn (sweating a lot)! I tend to switch products regularly but this one has worked out for my goals. Keeping lean, appetite down, energy levels up. Actually tastes good, was a pleasant surprise. has a good kick of energy! Awesome Product and I have a lot of energy when I take it. I was wondering if anyone else does the 4 weeks off that they recommend though. 4 weeks without the extra energy sux. Nothing but positive. Good product for weight loss, excellent thermogenic at a great value. Lots of sweating while taking this, thats the whole purspose! Good product! Feel great on it, def helps keep my energy flowing and metabolic rate up. My only regret is getting powder rather than capsules. Bought the blue raz and fruit punch. Haven't tried the fp yet but the raz is not very tasty. I usually have to water it down which stinks bc then I have more to chug haha. Also it does not mix very well and leaves a powdery residue on the sides of my drinkware. So overall very good product just would recommend the capsules. Its fantastic!! 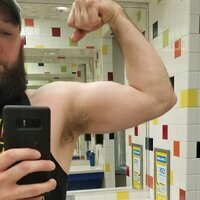 Helped me with losing weight without feeling any jitters. Also provides great amount of energy to get you going through out the day! Works well on an empty stomach for an added boost to my preworkout. Curbs your appetite when taken correctly and helps maintain my energy levels. Just bought it again. I loved it! It gives me the energy I need to workout and work with kids all day long! Awesome product. Powder: As a dietary supplement, begin by taking 1 serving mixed with 8-10 oz of water in the morning with food and 1 serving 4-6 hours later in the mid-afternoon to assess tolerance. Do not exceed 2 servings in a 24-hour period. To support overall health, drink 8 glasses of water over the course of a day. 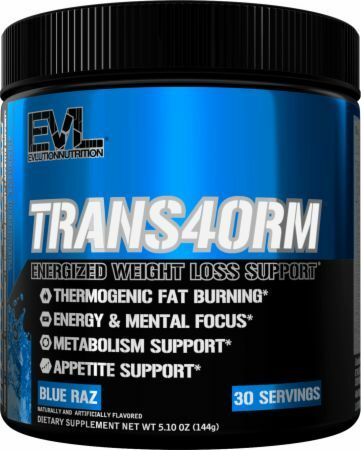 TRANS4ORM™ may be taken for up to 8 weeks but should then be discontinued for a minimum of 4 weeks. Capsules: As a dietary supplement, take 1 serving in the morning on an empty stomach and 1 serving 4-6 hours later in the afternoon. Do not exceed 2 servings in a 24-hour period. To support overall health, drink 8 glasses of water over the course of a day. 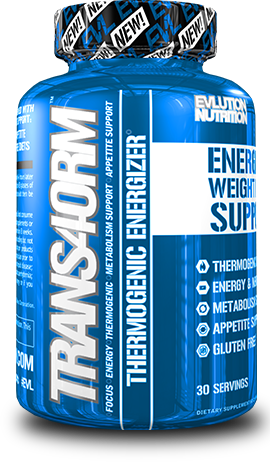 TRANS4ORM™ may be taken for up to 8 weeks but should then be discontinued for a minimum of 4 weeks. Warnings: Not intended for use by persons under age 18. Do not exceed recommended dose. Do not consume caffeine from other sources, including but not limited to, coffee, tea, soda and other dietary supplements or medications containing phenylephrine or caffeine. Contains caffeine. Do not use for more than 8 weeks. Consult with your physician prior to use if you are pregnant, nursing or taking medication, including but not limited to, MAO inhibitors, antidepressants, aspirin, nonsteroidal anti-inflammatory drugs or products containing phenylephrine, ephedrine, pseudoephedrine or other stimulants. Consult your physician prior to use if you have a medical condition, including but not limited to, heart, liver, kidney or thyroid disease, psychiatric or epileptic disorders, difficulty urinating, diabetes, high blood pressure, cardiac arrhythmia, recurrent headaches, enlarged prostate or glaucoma. Discontinue 2 weeks prior to surgery or if you experience rapid heartbeat, dizziness, severe headache or shortness of breath.